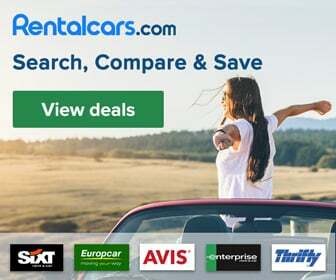 There are a great deal of activities to do in the Algarve. This article lists the top 5 excursions in the Algarve that we recommend for your perfect holiday. 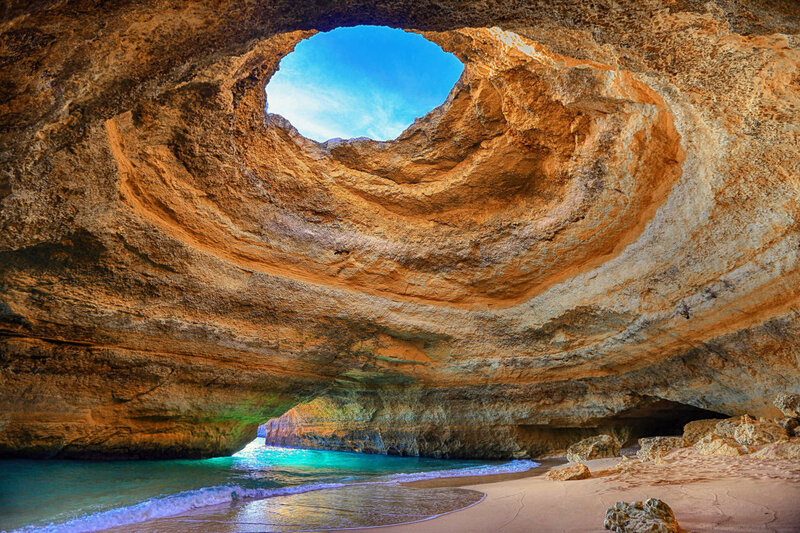 Discover one of the most exotic beaches in the world and gaze at the breathtaking Benagil Sea Cave. The 2-hour trip of fun starts at Cais Vasco da Gama in Portimão. Along the way you will see the Fort of Santa Catarina, the Ferragudo Castle, and the small fishing village of Ferragudo. You will discover more than 30 caves and pass the beaches of Pintadinho, Paradise, Carvoeiro and a number of deserted beaches. The Benagil Sea Cave is near praia de Benagil, but you can only get there by boat. This is a highly recommended activity in the Algarve! 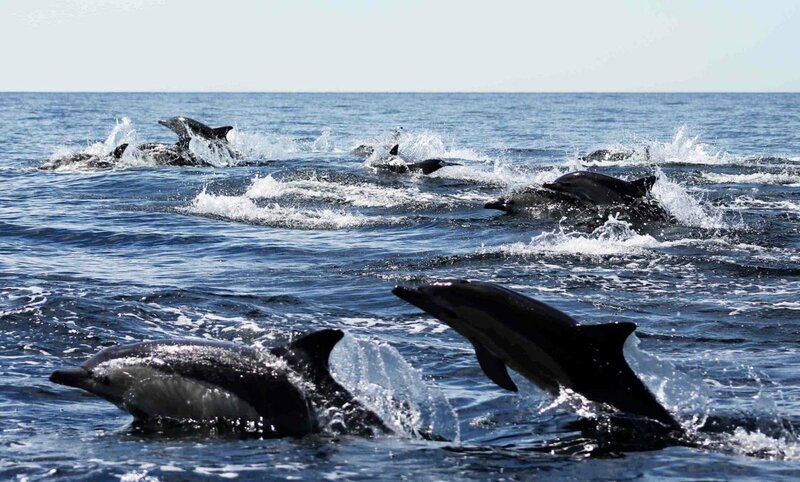 The Algarvian waters are home to one of the most favorite animals in the world: dolphins. During a 2.5 hour cruise, you will go dolphin watching and see these beautiful families from up close. Next to the dolphins, you might see the minke whale, the orca, sharks or sea turtles. 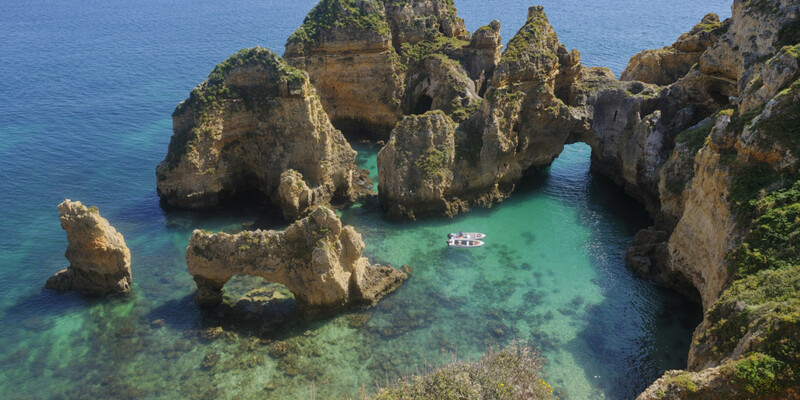 The wonderful cruise starts from the harbor of Albufeira and you will head to Carvoeiro beach, passing one of a kind caves and the spectacular rock formations. A truly joyful experience! 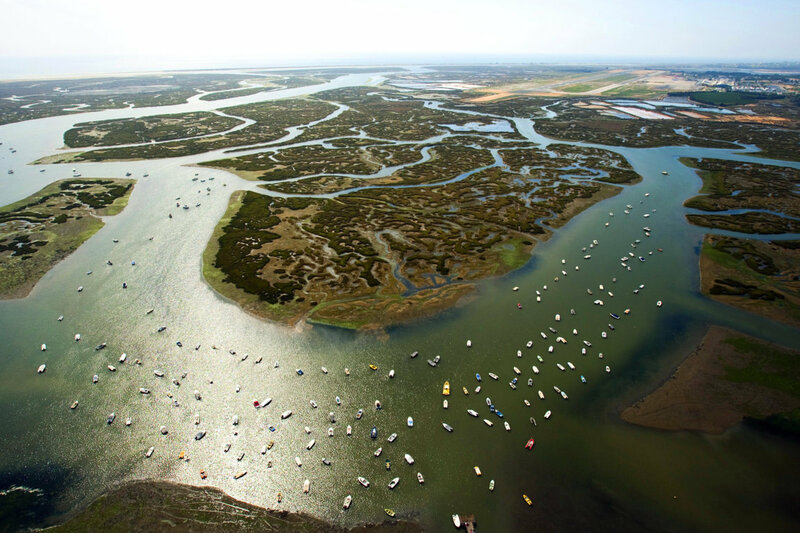 The beautiful Ria Formosa Natural Park is best explored by sailing a catamaran. This 4 hour trip will take you along the Ria Formosa canals and includes stops at the magnificent islands of Armona, Culatra, Farol, and Deserta. Also, there will be plenty of breaks for swimming! The catamaran leaves twice every day from Faro at 10:30 and 15:00 and can take up to 12 passengers. A one of a kind must see excursion! Ponta da Piedade near Lagos is one of the most precious parts of the Algarve. One of the most exciting ways to explore the unique caves and golden rock formations is by kayak. Being so close to the crystal clear water, you can truly feel the wonders of the world that were created millions of years ago. The guide will teach you about the history of the place and direct you to the countless fossils carved in the rocks, showing the spectacular life that once lived there. The 2 hour kayak tour includes plenty of time for swimming and snorkeling in the warm water. This is the perfect excursion for your unforgettable holiday! 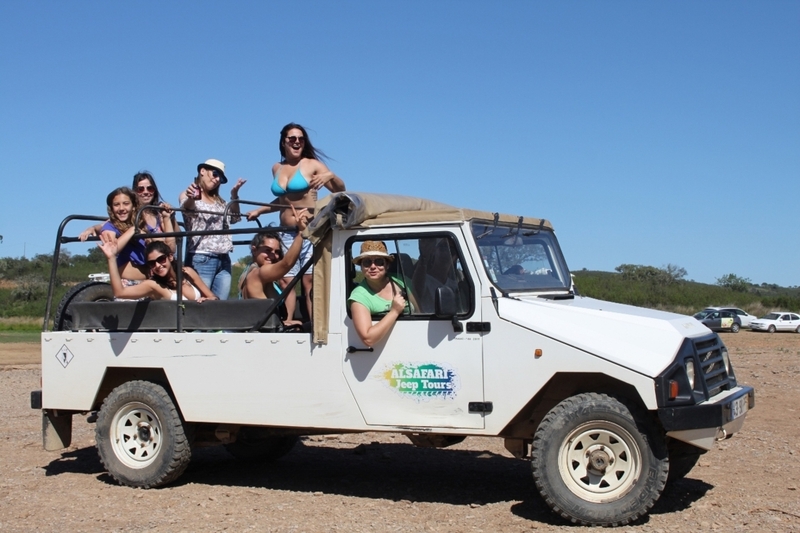 This half-day jeep safari tour starts in Albufeira and will take you on a journey through the picturesque villages, fragrant orange groves, beautiful cork forests, Arabic castles and spectacular waterfalls. Fall in love with the Portuguese countryside, taste homemade produce at a local farm and drink the sweet honey liquor called Medronho firewater! A beautiful off-the track experience, where you will learn about the customs and traditions of the rustic villages from a passionate guide!